March | 2010 | GoWests! Last week I returned from a teaching trip t o Taiwan. I was invited by the Discipleship Training School, and the School of Biblical Studies to teach their staff specifically about Discipleship. I was there for7 days, and it was a wonderful experience. The teaching went very well, and I was able to spend time with some very good friends who now live and minister in Taiwan. Seeing these people who were once in our schools, then staffed under us, then were trained in leadership, and now in Taiwan ministering among the Taiwanese and Chinese, speaking the language fluently and calling it “home”, is such a wonderful paycheck for molly and I. 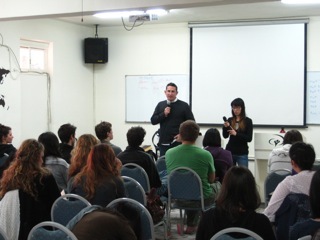 My teaching week included discipleship topics such as identity, spiritual authority, leadership, conducting small groups and one-on-one discipling, and more.I also went to YWAM Taiwan’s coffee house, “The Rock”. This is where hundreds of youth come to sit, “practice English”, and hear the gospel in the process. It is 100% relationship evangelism. 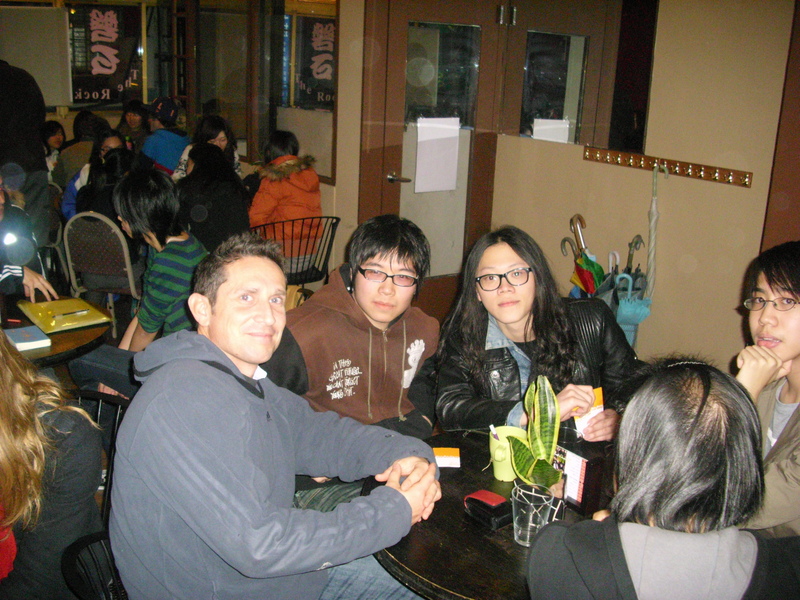 I was able to join them one night and had a great time speaking with some Taiwanese university students about life, cultures, and Christianity. Since back, I have had a busy schedule teaching the DTS staff here, as well as the Montana SBS staff on discipleship, too! Below are a few photos from Taiwan. Darren, April, Brent, me. These guys are now long-termers in Taiwan! You just never know what’s going to come out next. Whether it is something totally inappropriate, off the wall, embarrassing, or just silly, they keep us on our toes as parents!! I won’t publish some of the more humbling public statement that my children have made. You have probably heard those yourself!! But on Saturday Joel said something so beautiful and profound. I want to share it! What in the world made him think of that? Here I was thinking how nice it was being up high with a view of the Flathead Valley…wishing my time in the lodge alone could have lasted longer…planning dinner…and baths…and future conversations with people….and my 6 year old is thankful for living in a free country! While I was thinking about the physical perspective from the top of the mountain, my kindergartner was thinking with a spiritual perspective. It was a beautiful reminder of what really matters: Worshiping Jesus and sharing the great news! And being thankful that we can!! Everybody knows about Haiti. The earthquake, the suffering, the efforts. We wanted to send out a quick update about some of YWAM’s response toward the needs there. With over 20,000 staff worldwide, from hundreds of bases, it’s hard to tell you who is doing what and when. Most YWAM efforts are being coordinated through our YWAM facility in Haiti. YWAM has been in Haiti for almost 2 decades. Through their ongoing community relationshisp and service in that nation for years and years, YWAM is in a position to interact and relate to many government departments and other aid efforts. In fact they have been placed by the authorities as key coordinators. Here is the latest email form a co-worker of ours who worked with YWAM in the Caribbean for several years. It includes a link to more info and a link to a video.